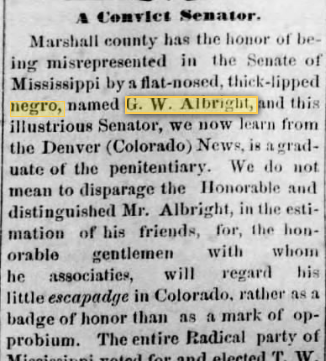 According to his autobiography given to the WPA and the Daily Worker, Albright was born in 1846 near Holly Springs to parents enslaved by different owners; when he was 11 years old, his father was sold to Texas. 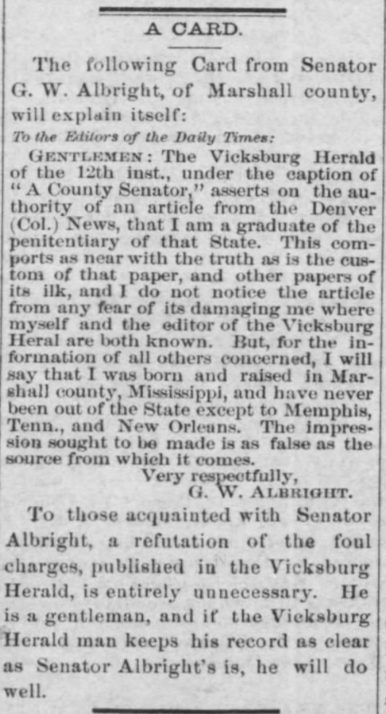 His father was later killed at Vicksburg after escaping to join the Union army. 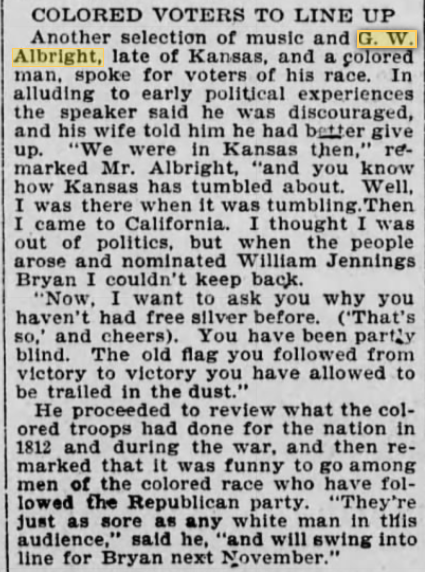 Albright was taught to read by his mother, who worked in the kitchen, listened to the white children doing their lessons, and picked up what she could to teach herself and her son. 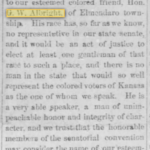 When he was 15, he became a runner for Lincoln’s Legal Loyal League, an underground network to spread news to other slaves. 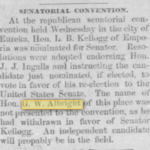 Besides his work in the legislature, Albright was a prominent figure in education, helping to bring in teachers from the north and serving as trustee of the State Normal School. 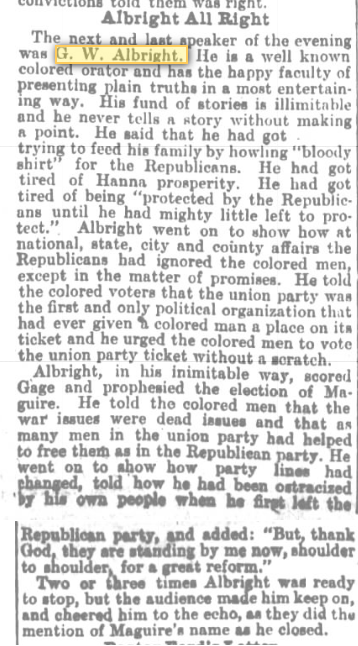 He also helped to organize a volunteer militia, for which he was targeted by the Ku Klux Klan. 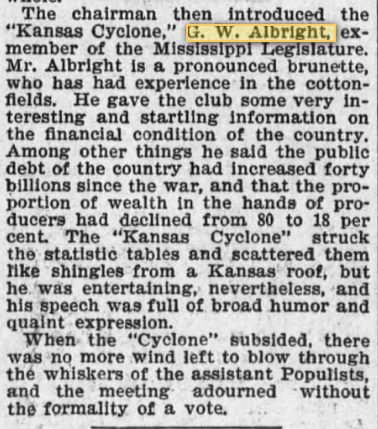 Albright continued to be active in politics in Kansas. 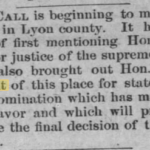 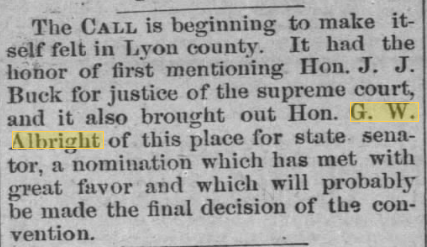 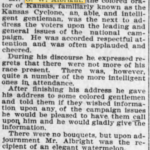 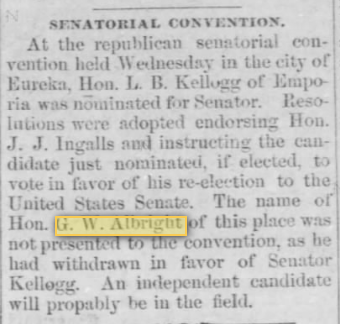 According to a September 2, 1882 article in the Emporia Daily News, he appeared at the Lyon County Republican convention. 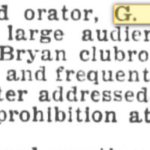 He is mentioned several times in the article, most notably: “G. 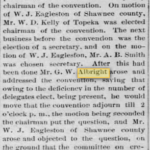 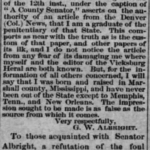 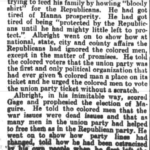 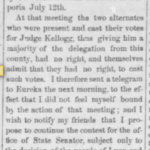 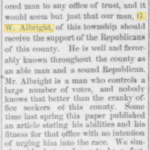 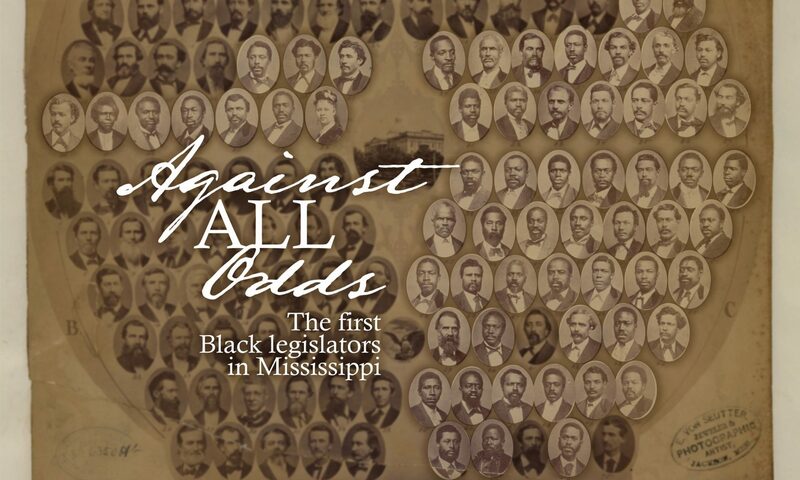 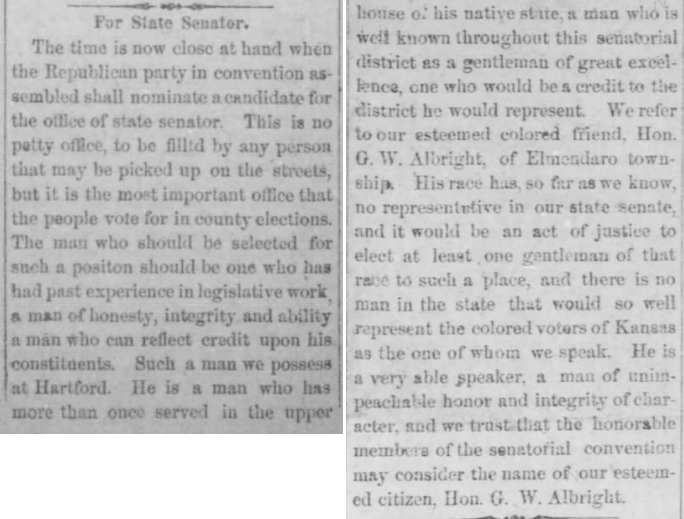 W. Albright took the floor and ably advocated the cause of Col. Feighan, bringing down the house several times with loud and boisterous applause and laughter.” It also seems that he ran for state senator in 1884, though he withdrew to support another candidate. 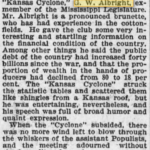 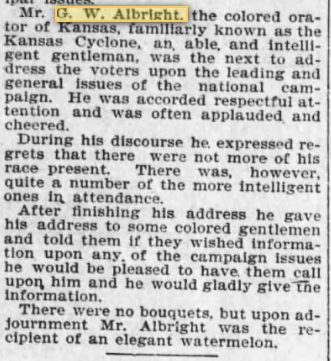 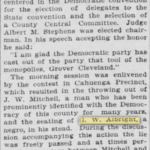 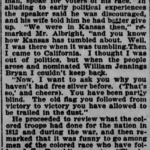 By 1896, Albright had moved to Los Angeles, where newspapers refer to him as a “colored orator”; one article calls him the “Kansas Cyclone.” He appears on the 1910 census in Los Angeles with wife Josephine, daughter Crystal Frances Albright (1889-1990), and son Wendell Truman Phillips Albright (1891-1959). 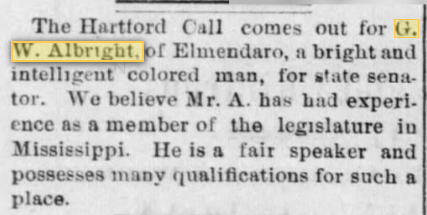 On the 1920 census, Albright is listed as the proprietor of a rooming house in Pueblo, Colorado. 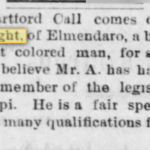 He is recorded as married, though Josephine appears in Los Angeles with Crystal and Wendell on the 1920 census. 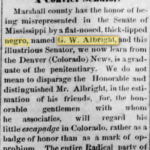 In 1930, Albright is still living in Pueblo, though he is listed as divorced and retired. 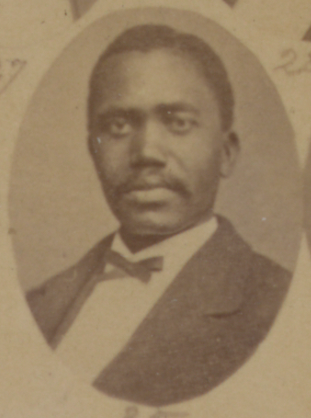 Josephine is again listed in Los Angeles, this time with Joseph and Wendell. 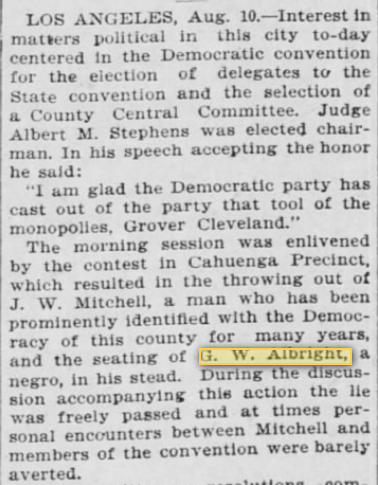 Josephine was still living with Wendell in Los Angeles on the 1940 census, on which George W. Albright does not appear.